This high performance, positive displacement pump is a bit of a smooth operator. With its signature smooth and quiet operation, its optimal efficiency rotors push the products through from one end of the pump to the other and when the pressure gets too much, the seriously oversized shafts help to prevent the damage that other lesser pumps suffer. The Lobe pump is used in breweries (yeast), the dairy industry (cream, yogurt, cottage cheese), confectionary (caramel, toffee, fondant cream), in the soft drinks industry for the likes of syrup and concentrates, in the pharmaceutical industry on creams & ointments, in household & personal care for washing liquids, toothpaste, deodorants, shampoo & soap. Meat Pumps transfer raw meat and is fitted with special rotors allowing quick and easy replacement. 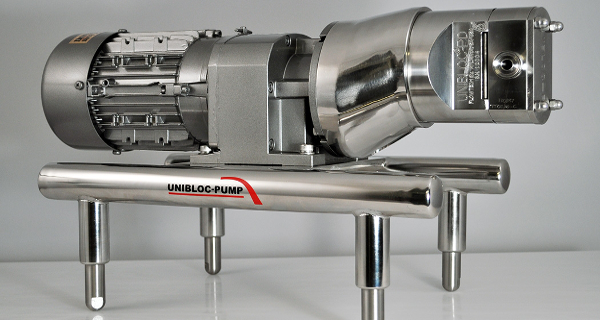 The Unibloc pump head has been cited as the cleanest in the industry with its seamless design and porosity free guarantee as standard features on Unibloc. Our “Labtop” variants are a self contained laboratory pump that can be used in R&D facilities to test production techniques & processes. Full scale plant can use the larger Unibloc model without the need to re-validate processes. It is no surprise that the world’s largest food machinery OEM companies use Unibloc pumps on their machines. 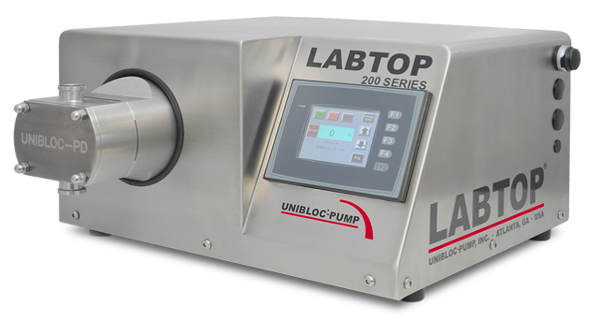 The “plug and go” design of the Labtop has made it the top-selling complete pumping solution for years in the biotechnology and pharmaceutical industries. The simple and versatile design consists of a pump, motor, and controller enclosed in a stainless steel case. It is used for small to medium-sized capacity applications. So what else is good about the Labtop?